It’s finally beginning to get warm here in CT and I am becoming more than a little anxious about what’s left to do as I prepare Pandora for launch. As I don’t expect (wish? pray? plan?) to put her up for another winter anytime soon, I have decided to tackle as many projects as possible while she’s covered and on the hard, so the list continues to grow even as I finish each project. This year the “getting ready for launch” has turned out to be more of a “refit” but the good news is that when she hits the water, she should be in great shape indeed. 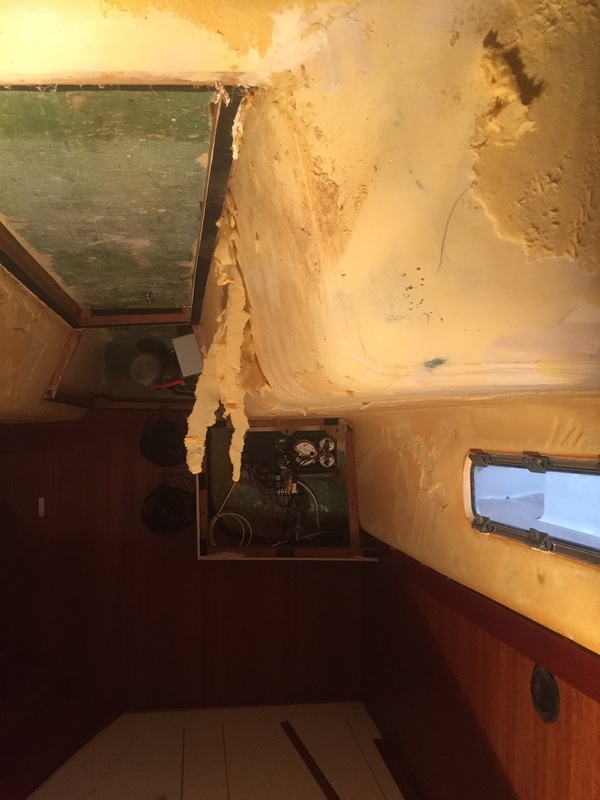 When a boat isn’t fully covered, with protection from the weather, many of those need-to-do projects, the ones that might allow rain to get down below, somehow get put off. A good example is the Plexiglas companionway, a sliding hatch and three “boards” that secure the boat from intruders, people and water. Over the years they had all gotten very scratched and dull with use. They looked downright shabby. A while back I purchased an automotive buffer to bring back the shine to the paint and headlights on my little Suzuki truck and it worked really well. I needed it to make the truck look better, which it did but, frankly, I never thought that I would use it again. BTW, this is a link to the buffer I selected. It’s a much better unit, and more expensive, than one of the cheap ones available from Walmart or West Marine. It’s variable speed and random orbital which minimizes swirl marks or burns in the finish, which is vital to getting a good outcome. It also works with higher quality pads, the same ones that the pros use. 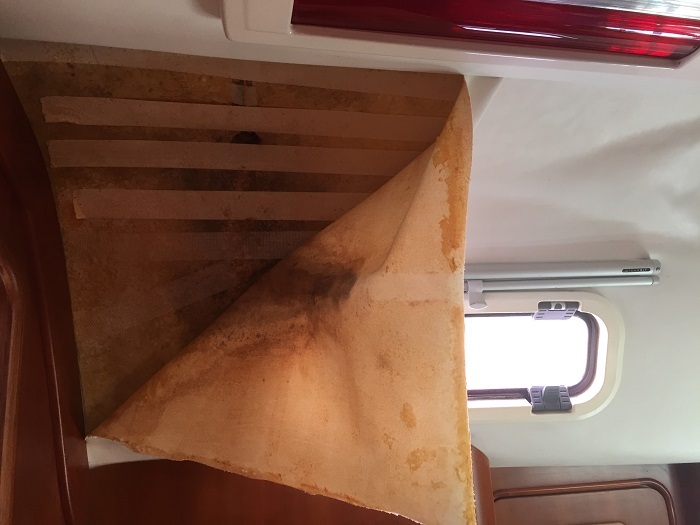 A few days ago, it occurred to me that it might be effective in polishing the scratched Plexiglas companionway boards so I pulled one off of the boat and gave it a try. 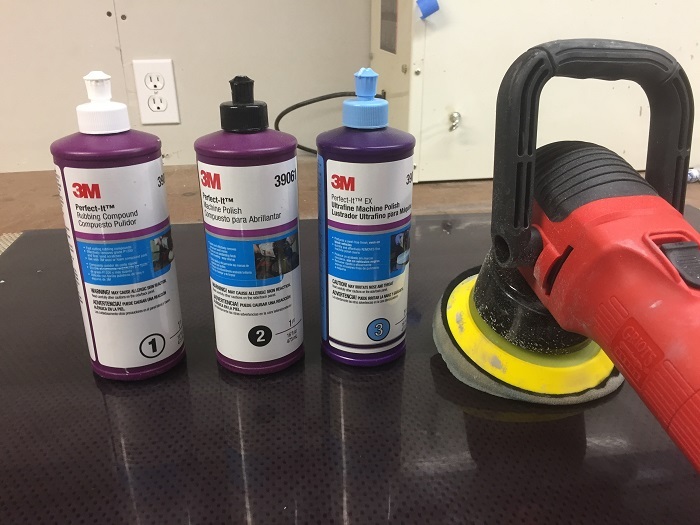 Along with the buffer, I had purchased a set of three 3M polishing compounds that are progressively finer. The first in the series, and most aggressive, is labeled “compound” with the next two finer still, and when used in series, they are designed to bring a high shine to car paint. In this instance, I decided to skip the middle grade and went from the most aggressive compound to super fine, on both sides of the panels. The whole process didn’t take long at all, less than an hour, and the difference is striking. 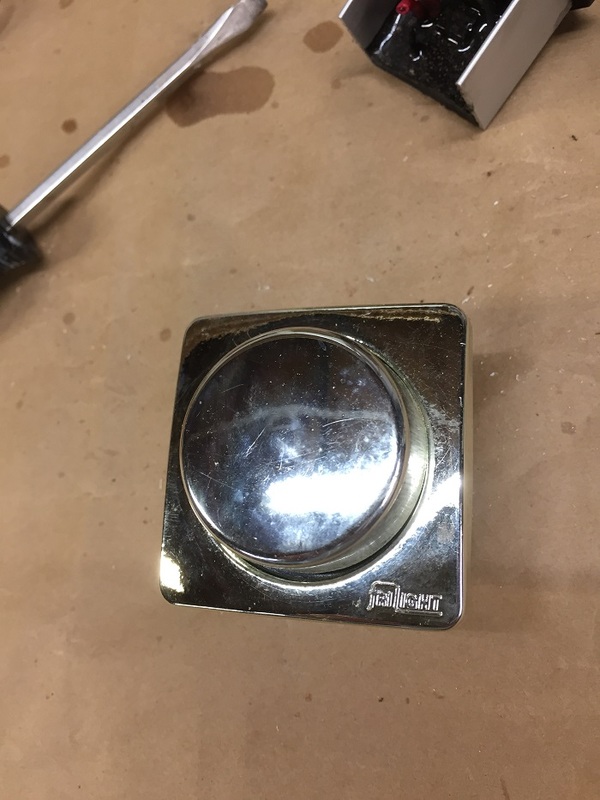 I also used the compound to shine the stainless, with a rag. I am really happy with the result and it was surprisingly easy to do. I have mentioned in a prior post that I was replacing all of the old, inefficient fluorescent fixtures with LED. Yesterday I installed the new fixtures in the cockpit. I decided to use a version that is smaller than the ones I selected for use below decks as I am hoping that they will not be too bright. I had a hard time identifying a model that would work on 24v but these are good for both 12v and 24v. Only a few years ago it was very difficult to find dual voltage fixtures and bulbs but they have become much more affordable and now are available in a nice warm white, 3,000k, which looks great. All of the new bulbs and fixtures i am using are from DR LED. 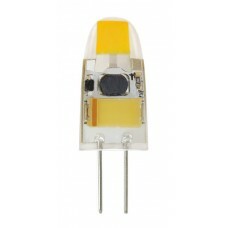 They have an extensive selection of LEDs for nearly any marine application. Their site looks like some kid set it up but, never the less, they have very broad range of great products. 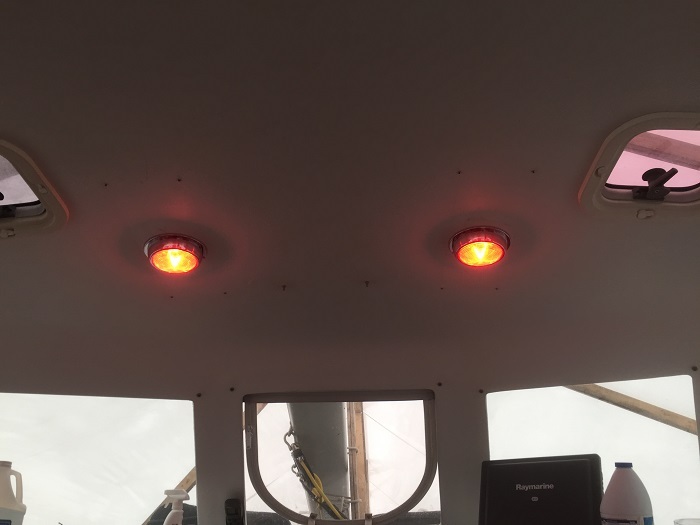 I do fear that even in red mode, and these fixtures are both red and warm white, may be too bright to use when on passage at night but I guess I’ll have to see how it goes. However, they should come in handy on buggy nights in Maine this summer. Fortunately, when we are in the Caribbean, there isn’t much of a problem with bugs unless we anchor too close to shore. It’s probably because it’s always blowing at least 20kts and there aren’t too many no-see-ums that can fly against a gale. The old fixtures that I pulled out are a lot larger and I didn’t know what to do about the holes from the old fixtures so I just put in round head screws. I have struggled to find LED replacement bulbs for the many halogen fixtures in the cabin that fit as most G4 LED replacement bulbs are not designed for use with a dimmer or are too big. Fortunately, Dr LED also makes a terrific little bulb that is small enough to fit in most any fixture, is very bright and yet dims well. These tiny bulbs are not cheap but they are a lot less expensive than replacing the entire light unit. Well, there’s still plenty to do to get Pandora ready as I work my way through the list, one step at a time. Unfortunately, the list is long and it continues to grow at least as fast as I check items off. I expect that my new cabin heater will arrive this week so I can begin that installation. It’s the type that uses waste engine heat, much like a car heater, to warm the cabin. This will come in handy when we are in Maine or when I am motor sailing in the fall or on rainy days. I already have a diesel heater that operates independent of the engine, but I thought it would be nice to have an engine driven option as well. 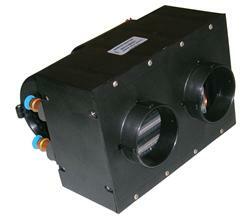 In addition, it is higher output, 30,000 btu, so it should warm things up quickly. 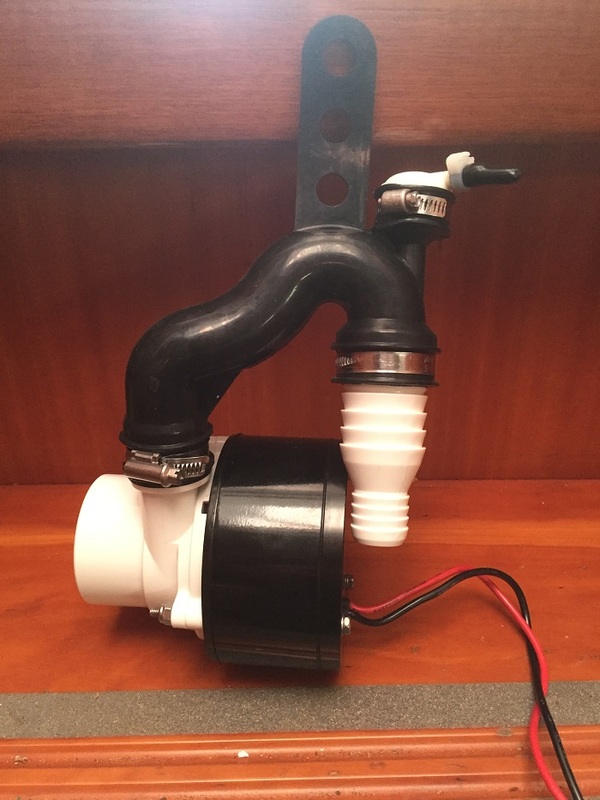 As an added bonus, the engine was set up for this type of heater when the boat was built so I don’t have to worry about any plumbing, just a simple extension of the engine heater hoses and electrical hookups. Also, as a special bonus, this particular style of heater isn’t terribly expensive as they are designed for use in trucks and commercial fishing boats. For sure, if they were built for marine use… well, they’d be twice, no make that three times as expensive. This is the unit I selected from Summit Racing but in 24v. I also purchased a length of 3″ duct work and two outlets. 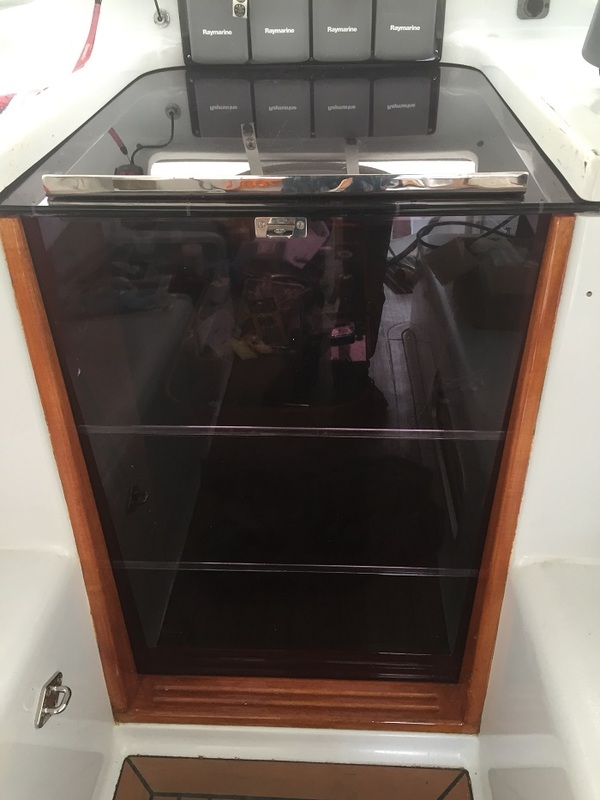 I’ll be installing the unit and vents under the settees in the main cabin forward of the galley, hopefully, this week. It’s always challenging to tackle projects on Pandora as the process, more often than not, feels more like a scavenger hunt, trying to find the right parts and not knowing where to get them. It is especially complicated when the parts are electrical as the boat is wired for 24v which usually means special order. 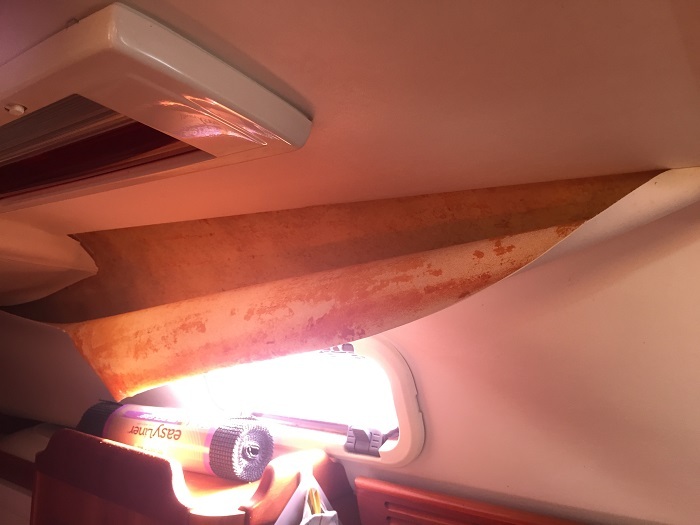 As there were only three Aerodyne 47s built, I can’t just contact another owner to see how they might have solved a similar problem. For my last boat, a SAGA 43, there were more than 50 built and there was a very active owner’s forum with a number of owners who knew their boats inside and out and always had a quick answer to most any question. Still to come will be re-bedding some of the deck hardware and yesterday I finally opened up all of the headliner under the traveler for the boom, so I now know exactly where the bolts are located and they appear to be easy to reach. The traveler has been the source of a persistent leak so now I know how to solve that problem, if I can only get the traveler off. Now I know that it will be easy to get at all the bolts but will it be easy to remove after all these years? Wish me luck. I’ll also be continuing to work on the job of re-covering much of the headliner, some I’ll do myself, and the rest I’ll be hiring out. So, here I am, May is only a little more than a week away and I still have tons to do. I’ll admit that the process to date has felt like two steps forward and one step back. I guess that’s what working on boats is all about. Perhaps my best wish will be that it not be two steps forward and three, or worse, steps back. Well, it’s been a long cold winter, well at least compared to the Caribbean, but at least I’m moving in the right direction. But hey, the companionway is looking great and there are two new lights in the cockpit. That’s progress, right? 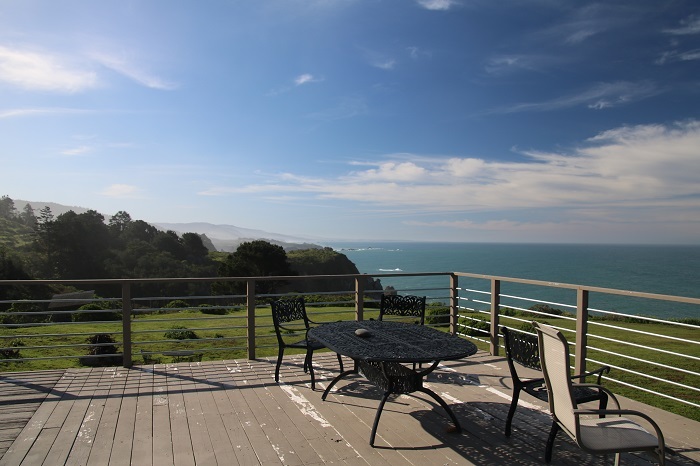 For the last two days we have been staying in Mendocino, on the coast, with our son Christoper and his girlfriend Melody. This is the view that greeted us this morning from the kitchen. It’s been a real treat to spend a week with them, here and near their home in Oakland. They live in a lovely little studio apartment with their dog Mila. It’s way to small for us to stay with them, so off to an Air B&B for us. It’s an expensive area so I won’t comment on where we’ve been staying. Let’s just say that today’s view, well, it’s better. So, here we are, and it’s great. Chris and Melody set this up and are treating us to a stay with them high on a cliff overlooking the ocean. The place, and you can’t see another building from here, is located on 85 acres. Its a compound or tiny village with an eclectic mix of buildings. 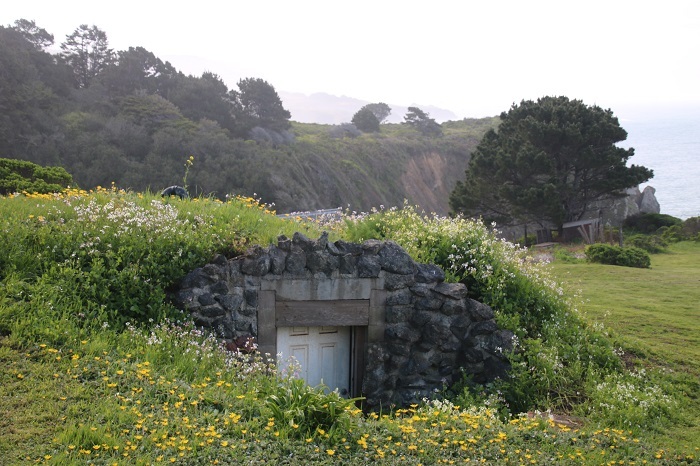 There’s even a root cellar, or is it a Hobbit House? 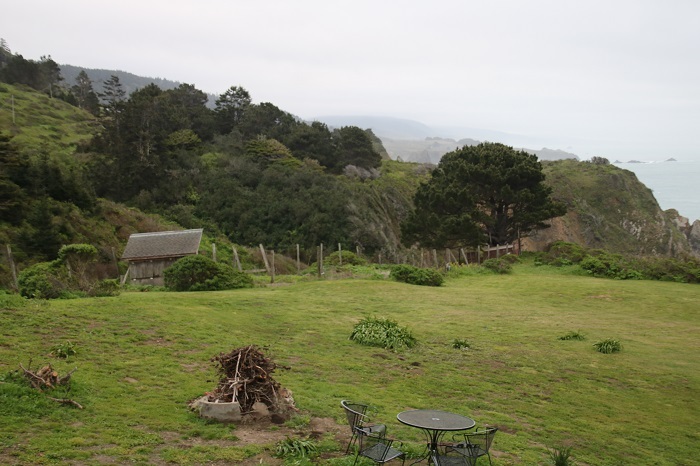 The view from the deck on the main house, where we are staying, is pretty spectacular. From the northern part of the property you get a pretty good feel for the scale of the place. You can barely see the main house peaking out from the trees on the left. 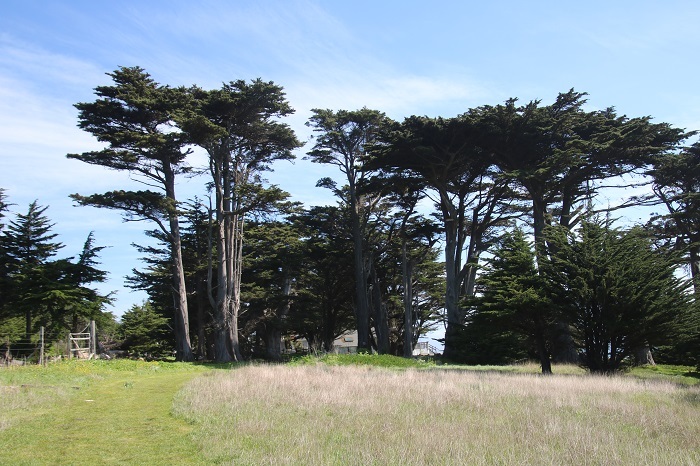 These trees to the left on the above photo look like they have had to work hard to grow here. Craggy and I expect very old. 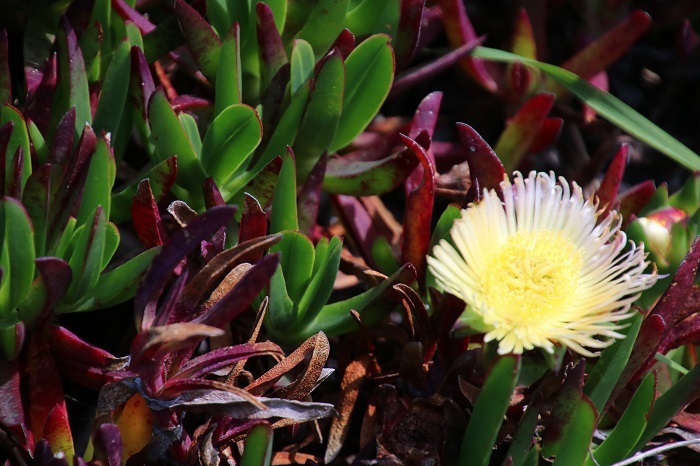 Out on the point, near the edge of the cliff, there are some wonderful spring flowers. These low lying fleshy plants grow everywhere. 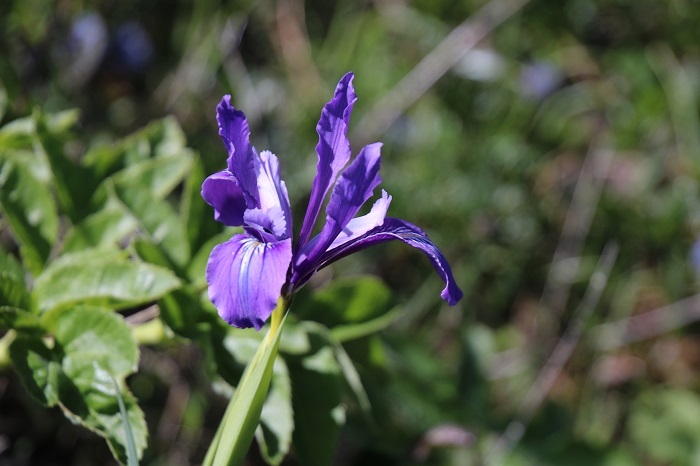 Love the dwarf iris, not more than 6″ tall. 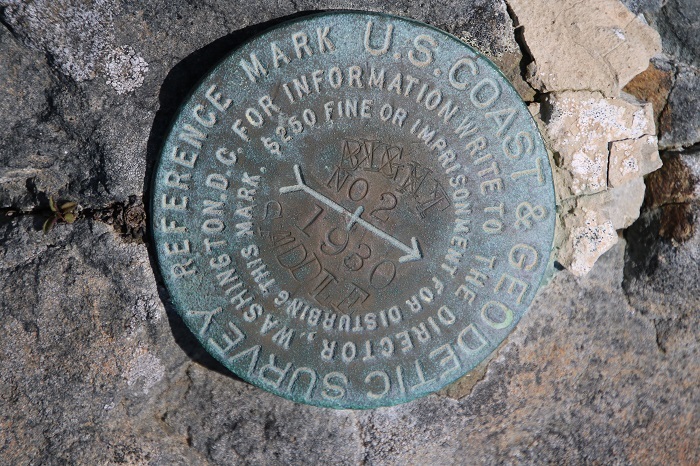 Near the northern property line, is a government survey mark placed here in 1930. It says that to disturb or remove it will subject me to a fine of $250 and imprisonment. $250 sounds like a pretty good deal for what would be a very nice souvenir. I wonder if they would calculate inflation from 1930 into account if I take it? Not sure about the “imprisonment” part. On second thought, I’ll leave it. 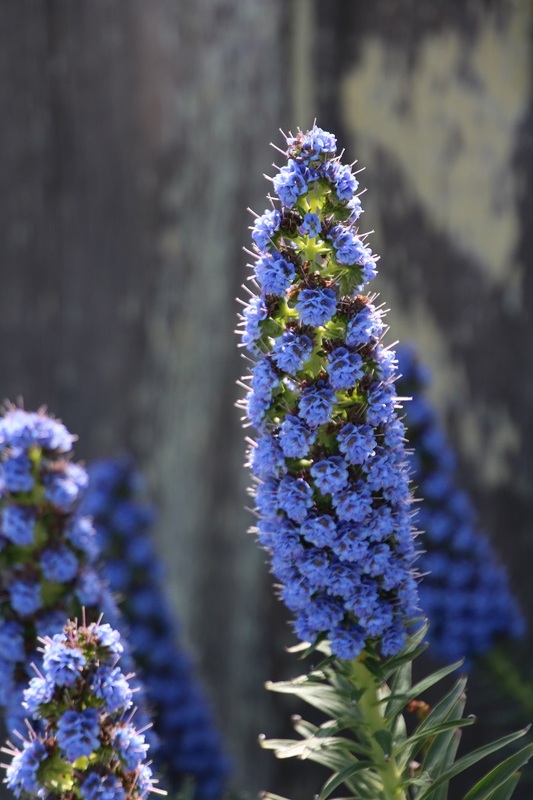 Anyway, back to the flowers. 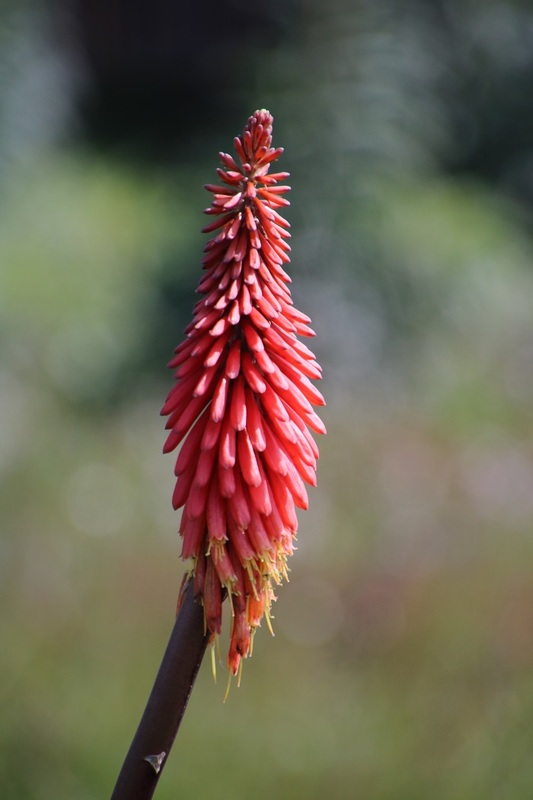 I have no idea what this is but it is impressive with a flower stalk that is over 4′ tall. These clusters are on a bush along with dozens more make for quite a show. For lunch yesterday we stopped at a tiny deli in nearby Elk, population 250. 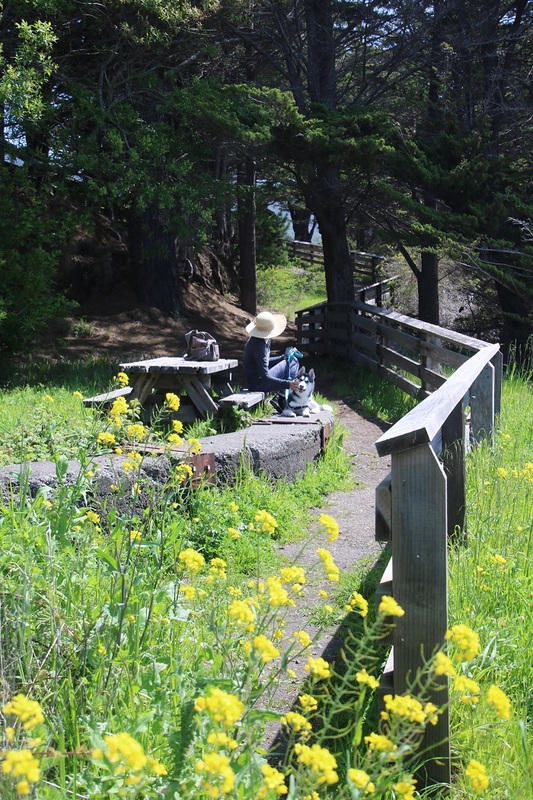 There was a lovely picnic area across the street, overlooking a beach. Nice spot. Mila waiting for lunch to arrive. Melody in a lovely hat. I just love hats. 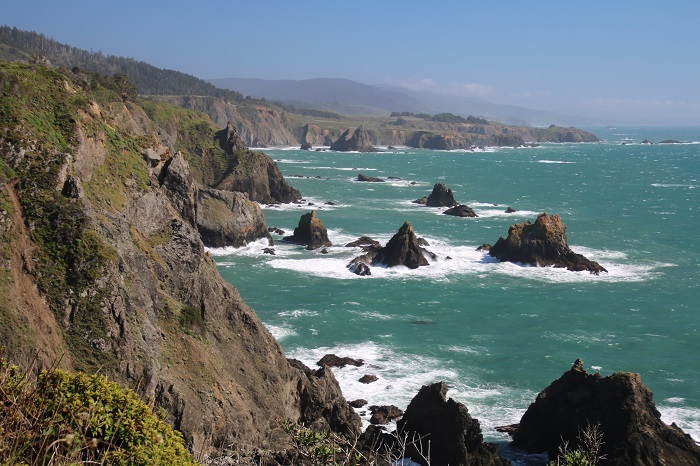 The Pacific coastline is remarkably rugged, with many miles between ports. 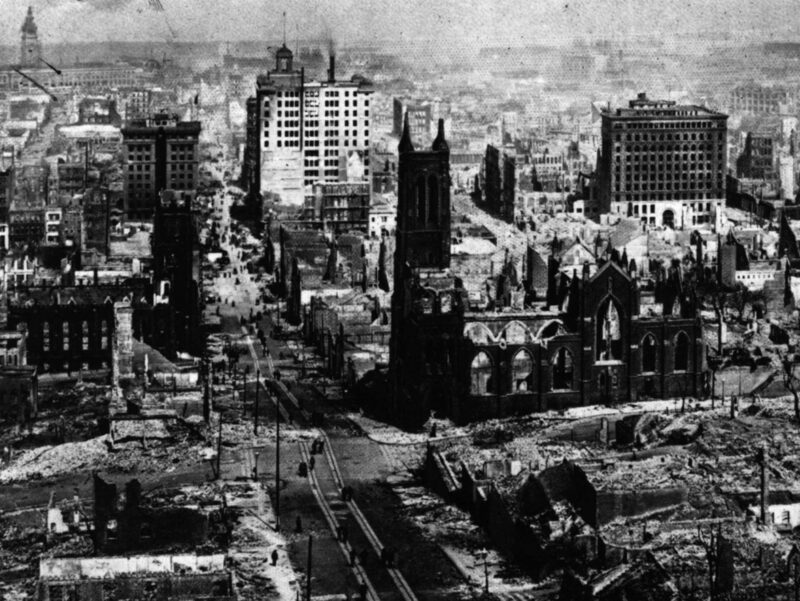 By the mid 1800s, this area was a major source of lumber, shipped all over the world and a major source for the wood used to rebuild San Francisco following the devastating earthquake of 1906. This photo does suggest that they needed a lot of lumber. 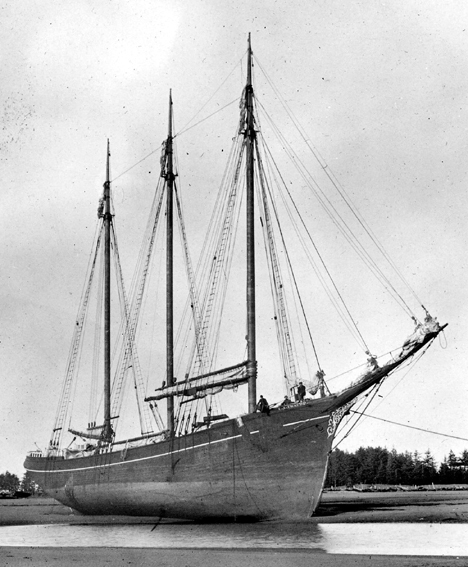 Lumber schooners, mostly with two to three masts and easily maneuvered, were able to pull into just about any spot in the coastline that offered even a small amount of protection from the ocean swells. These harbors, such as they were, were known as “Dog-Hole Ports“, so named by the captains that used them because they were just large enough for a dog to get in and out of. 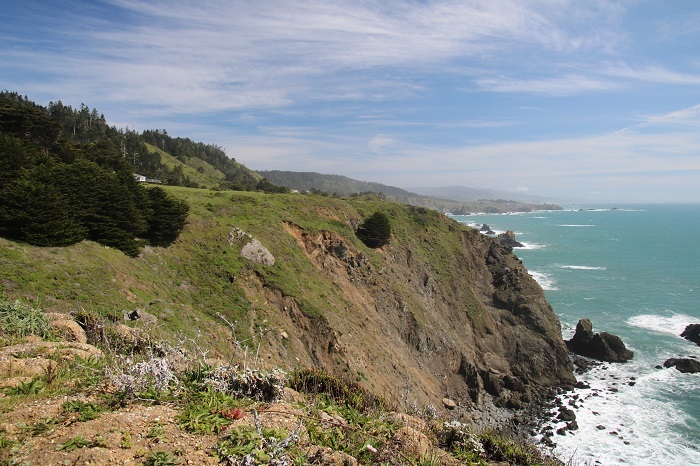 There were some 400 sawmills along the northern California coastline serving these tiny ports. It’s hard to imagine bringing a ship near a rocky coastline like this, but they did. This photo, BTW, was taken from the deck where we are staying. Amazing. 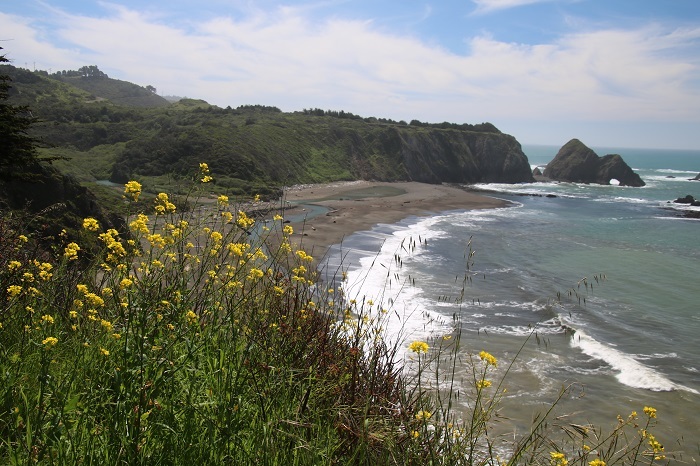 As close as we are to SF, about 3 hours by car, this areas once felt a lot more remote when it was only accessible by boat or stagecoach. In many ways, it still feels far away and very primitive. Well, primitive perhaps but with some really nice places to eat out and don’t forget about those wonderful wineries that are so close. 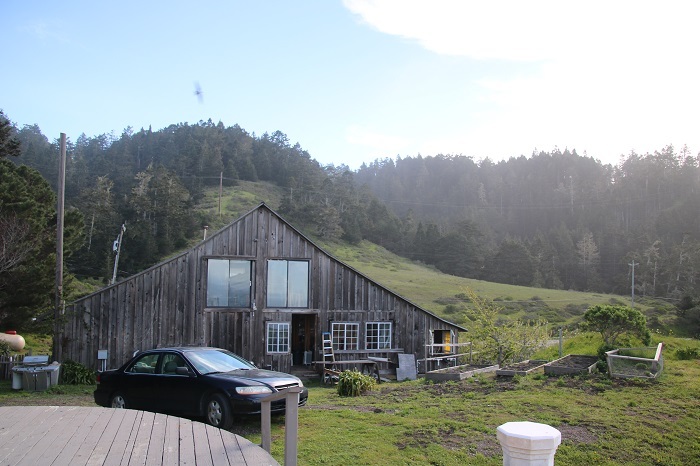 The trip here from San Francisco takes you through the major wine regions and finally winds through the redwood forest just north of the Anderson Valley, our favorite, and one area that Brenda and I have been visiting for over 30 years. It was a bit surreal for us to sit in the back seat on the way here as Chris drove us along those familiar roads. It wasn’t that long ago, well it doesn’t seem that long ago, since Brenda and I were in the area while Chris and his brother Rob were toddlers, home with their grandparents. Melody and Chris just love it here. 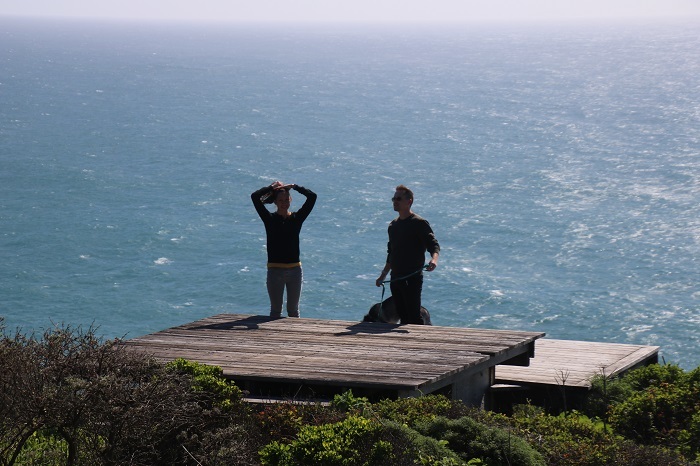 About 100 yards from the main house, there is a small deck that overlooks the very edge of the cliff. The wind off of the ocean is so strong that the chairs on the deck have to be tied with a rope to keep from being blown over the edge of the cliff. Not the most relaxing place to sit and sip wine. However, after a glass or so, the risk of falling to certain death somehow seems less of a problem. 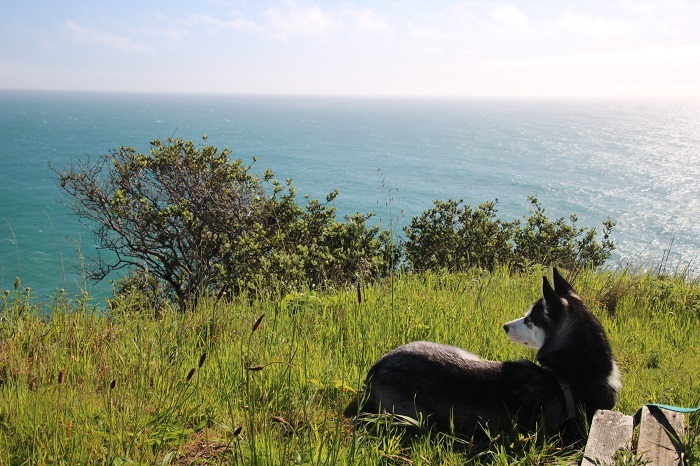 Their dog Mila loves surveying all that she can see. “Hey mom and dad, I’ll bet that cove is one of those Dog-Hole Ports. Am I right?” This area is very close too the dense redwood forest of the Navarro valley to the east, one of the areas that were heavily logged. 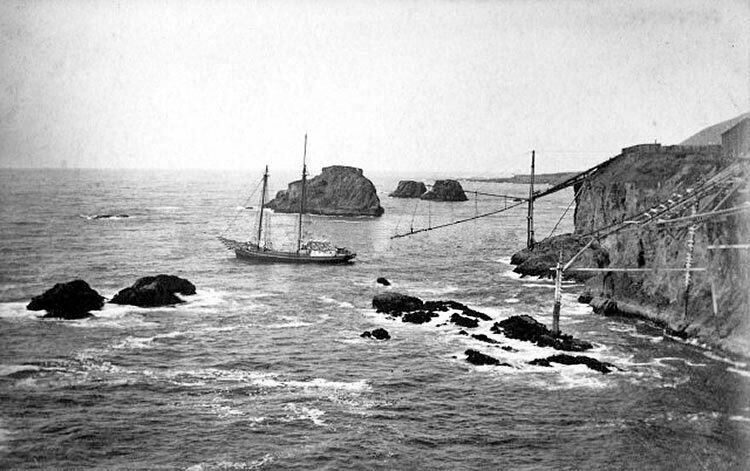 As the coastline is so rugged, with safe harbors so far apart, transporting the lumber to anchored schooners involved a huge effort. Some spots, but not many, were sheltered enough to allow for the construction of a wharf that went far out into the water. Note the many lines strung from the bow of this steamer, no doubt to hold her off of the wharf in the ocean surge. I expect that these structures did not last very long with the relentless pounding of ocean waves. However, with low cost labor along with cheap and abundant building materials, I doubt that it mattered. 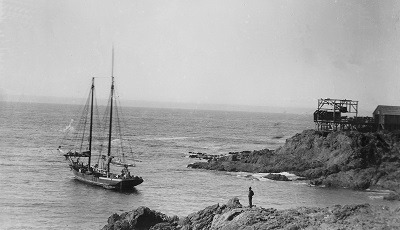 The schooners that served this area had to be very maneuverable in order to safely make their way in and out of the tiny harbors along this exposed coastline. 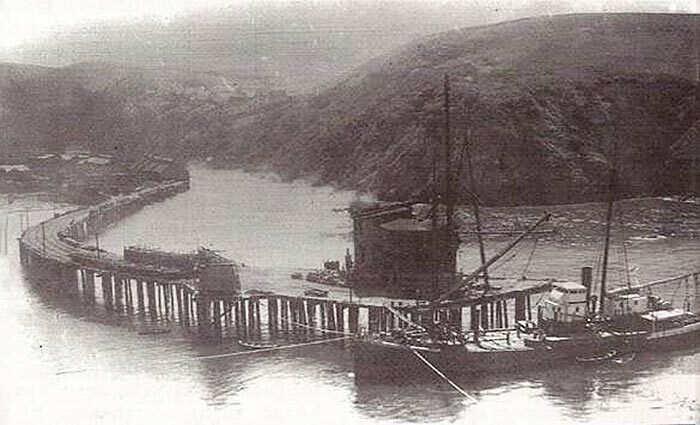 It was easier to load the ships from high cliffs than to try and transport lumber any distance over rough dirt roads to better harbors. The last remaining lumber schooner from that era is the C.A. 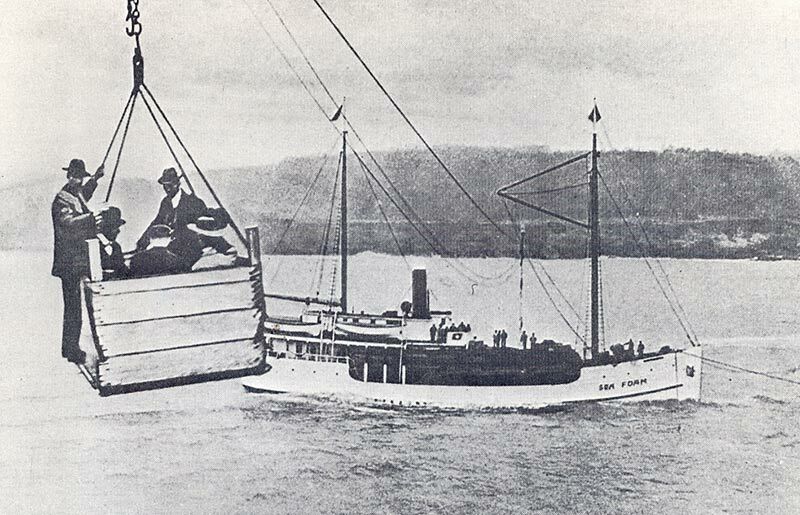 Thayer, launched in 1895 in Eureka CA, not far from here. She is now preserved at the San Francisco Maritime museum. 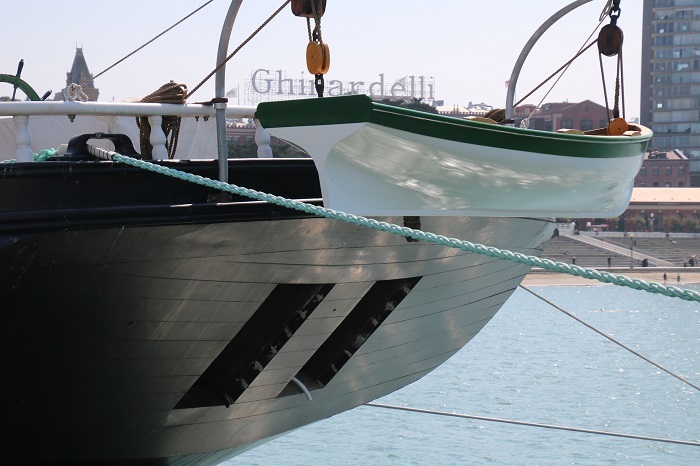 Over the years, she, along with a number of other vessels in the museums large collection, fell into an unfortunate state of disrepair but recently she has been fully restored. We visited her in 2017, on our last trip to SF, as they were just finishing the restoration and enjoyed a tour. She’s in great shape now. 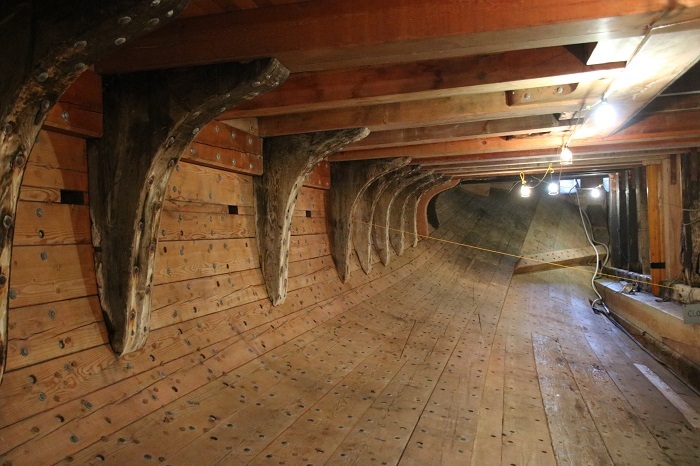 Her stern was designed with openings that allowed the loading of long pieces of lumber below decks. In order to fit the maximum amount of cargo, she was designed with no bulkheads below decks. 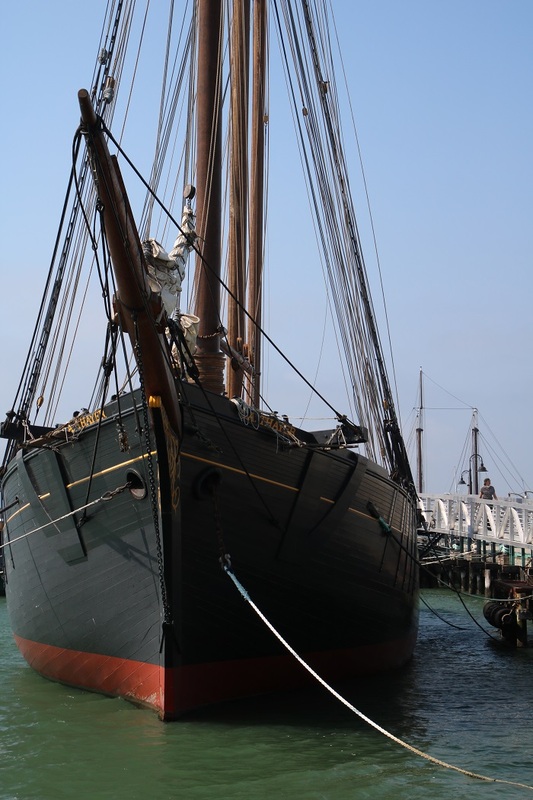 There were once hundreds of these schooners moving lumber down the coast to San Francisco but she is now the last remaining one and it was nice to see her restored to better than new condition. So, here we are, in an area with so much history and along with is us Mila, who must particularly appreciate the history behind these out of the way, “Dog-Hole ports” that played such an important part of area history. It’s the beginning of April and I find myself completely focused on something that hasn’t been on my mind for the last seven years. Spring launch. It’s not news to anyone that follows the blog that Pandora’s been on the hard over this winter, her first since being launched in 2007 and that this winter was the first in Pandora’s decade long life when she was “decommissioned” for any reason, b beyond a few months, much less and entire winter. Not to put too fine a point on it but the last time I did any real sailing was a year ago May when I returned from Antigua. So, here I am, recalling so many spring commissioning sprints trying to getting the boat ready for the water in time for the long Memorial Day Weekend. Well, not actually, as in my retirement it’s a bit different as I am no longer focused on a single long weekend but the whole year and months aboard. However, with Pandora about to emerge from nearly a year out of the water, I’ll be in the boat yard working hard to get the boat ready in time to enjoy the season. After an ill fated attempt to prepare her for a run south last fall resulting from a long delay from some work that I had commissioned last summer, I came to the painful realization that we’d be staying home for the season. It turned out to be OK, I guess, as I got a lot done around the house and we also spent more time with our growing troupe of grandchildren. That was good but, and there’s always a “but” I am anxious about being afloat again. Being home-bound for the winter did allow me to get many projects done around the house, especially for Brenda, that I am hoping that she will take pity on my and not grouse too much when we head south next winter. So, soon enough Pandora will be back in the water where she belongs. The bad news is that shortly after she is launched, she will be hauled yet again to address a problem with the waterline resulting from last summers paint job. Regarding that bit of news, when Pandora was being painted, I asked to have the aft portion of the waterline raised but somehow the port and starboard lines ended up being a few inches off from each other. I noticed that last fall, shortly after she was relaunched. At first I thought that she had developed a list to port, but when I put a ruler on the waterline I realized that port was two inches lower than the other side. So, in order to fix the problem and get a good feel for exactly where the waterline should be, she has to be fully rigged with mast up, sails on and dink in the davits. After launch, measurements will be taken and she will be marked for fore and aft trim. The key in all of this is the “after rigging” part as that means that she will then have her mast and all that rigging in place which means she will be tall, a lot taller than the door of the shed where she was painted. The good news is that the painter has access to a building in Bridgeport with a door that is tall enough to accommodate her inside, even with her mast up. While Pandora’s mast is tall and the door to the shed is taller, something like 75′. That’s a really big door and an even bigger shed. Actually, it was the building where the yacht Cake Walk was constructed in a few years ago. She was, I am told, the largest displacement yacht ever built in the US at over 250′ long. Longer yachts have been built in the US but none with greater displacement. She’s now named Aquila but she’s still huge. If the shed could fit her, Pandora should fit too. Actually, the building can fit many Pandoras. Here’s Aquila. Pandora could be her dink. So, here I sit. It’s early April and I have a growing list of what has to happen to get her ready for the water. It’s like the old days before I retired but at least I don’t have to get up on a Monday morning and head to the office. Well, I am in my “office” but at least I am writing a blog post and not a business plan . Well, I guess it is a business plan of sorts, a plan to get Pandora back in the water. The biggest thing standing between me and the launch of Pandora is the collapsed headliner that was sagging badly in, well in just about every part of the boat, the main cabin, aft and forward compartments. About a year ago the foam backing on the headliner had deteriorated to a point where it separated from the cabin sides and fell down. At first I thought that the problem was limited to a few areas. No such luck. So, I decided to take nearly all of it down. It was a huge job and very messy. I consulted with Chad, the canvas maker that did a great job on my cockpit enclosure, to get advice on what to do. He suggested that I pull the vinyl down and then, with a wire brush on a drill, have at it. This is a view of the aft cabin, where I pulled down all of the vinyl. Then the drill… The main cabin, post wire brush. Looks like a derelict boat. Depressing. And such a mess… Over the weekend, I went to a sale at Defender, a discount marine supply company nearby. They have a once a year warehouse sale and it was mobbed. 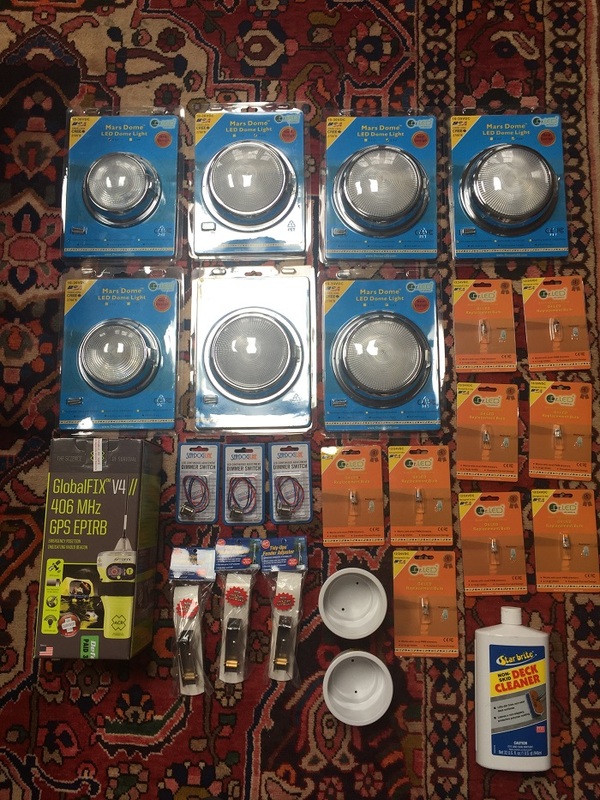 I purchased most of the lights I needed, along with a new EPIRB, Emergency Position Indicating Radio Beacon. Say that three times fast. As the name suggests, it is a transmitter that I can activate to call for help if I get into trouble while at sea. I have two on the boat already but they are both out of date and it makes more sense to get a new one instead of having the older one re-certified. All this, lights and EPIRB, and it wasn’t quite one “boat dollar”. And, speaking of lights, I’ll also be replacing all of the inefficient fluorescent fixtures in the cabin and cockpit, along with all of the halogen bulbs in the overhead with LED bulbs and fixtures. 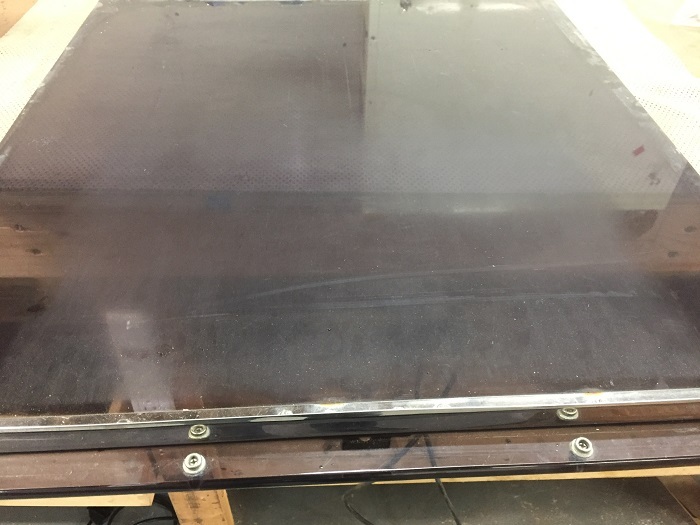 The bad news is that the “footprint” of the old fixtures, and there are 9 of them, is larger than the new ones so that means that I’ll have to replace all the vinyl on other areas of the headliner that are basically fine to eliminate the old screw holes and stained vinyl in the areas around the old headliner. There are a LOT of fixtures to deal with. Fortunately, vinyl comes in many colors of “white” so we should be able to match the new to the old. Fingers crossed. Also, in going from halogen to LED in some areas so I have to replace the dimmers, three of them with a type made for LEDs. This is what the old, non compliant, dimmers looked like. 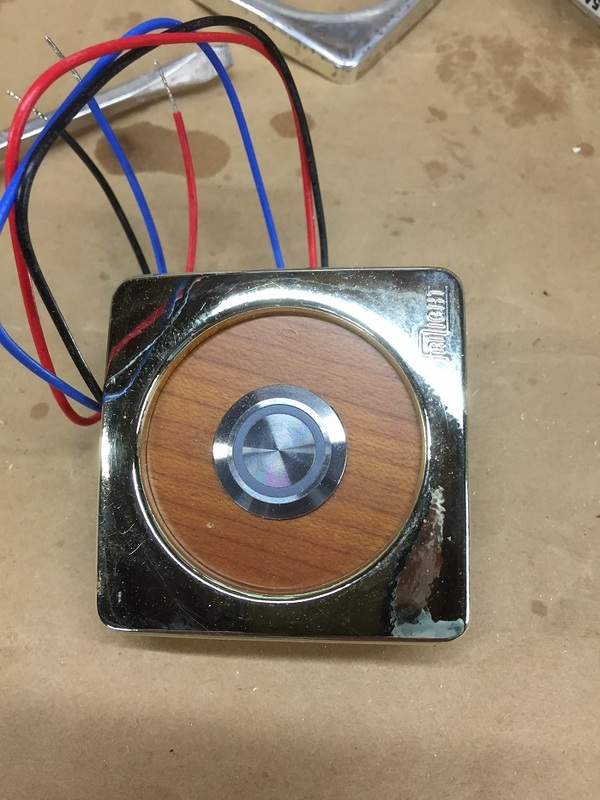 In spite of my best efforts, I could not locate new dimmers that look anything like these and would fit in the same 2″ hole. So, I decided to just “remodel” and use the same dimmer casing. So, I made up wooden inserts from scrap plywood that matched the interior. The plan will be to glue the new touch dimmer into the old housing and it will look like this. Pretty neat, right? I’m pretty pleased with myself, frankly. An elegant solution that will minimize effort in matching the current holes. 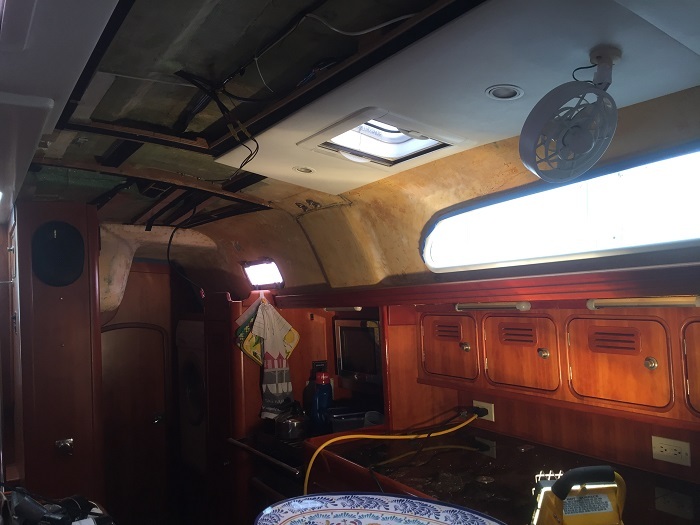 I am doing, have done, all of the demo but I am hiring Chad to put the new headliner in place and it’s a LOT of work so it’s going to be several boat dollars, I expect. Brenda will be so pleased. Add to this project myriad other issues, like re-bedding deck fittings, general cleanup and a number of other upgrades and there is a LOT to do to get Pandora ready to splash. 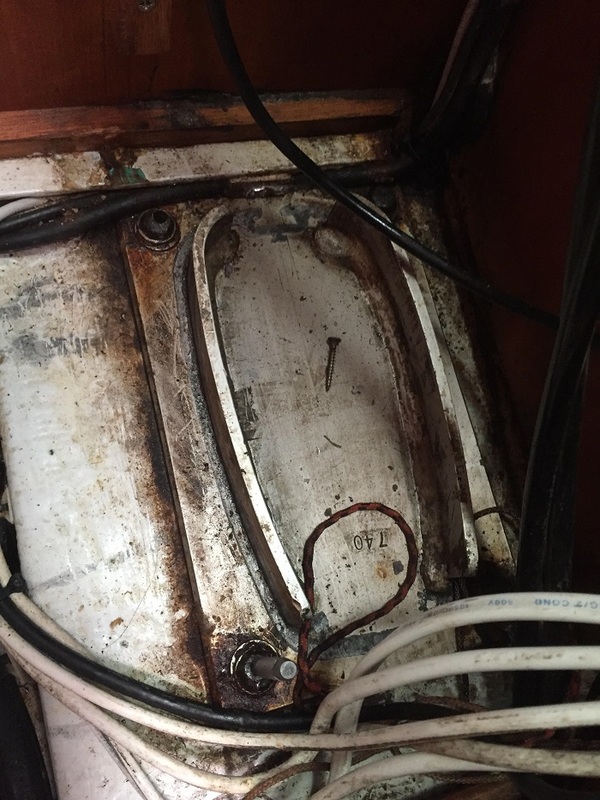 Oh yeah, and with all the time I save in making my own dimmers, I’ll be spending plenty of time trying to pull out the bolts that hold in the mast step as the heads of the bolts had become corroded and suspect. So far, not a lot of luck in getting them out. Yes, that’s a bolt extractor in the lower left. Wish me luck. Oh yeah, one more thing. Pandora has electric toilets. Can you imagine, electric? And mixing electricity with, well, you know what, is a messy business. The toilet, head, has three electric motors and one failed on the aft head so I had to put in another. If you think that this looks expensive, it is. Fortunately, I was able to get it replaced under warranted. Let’s hope that if it decides to “poop out” it does so before a year. 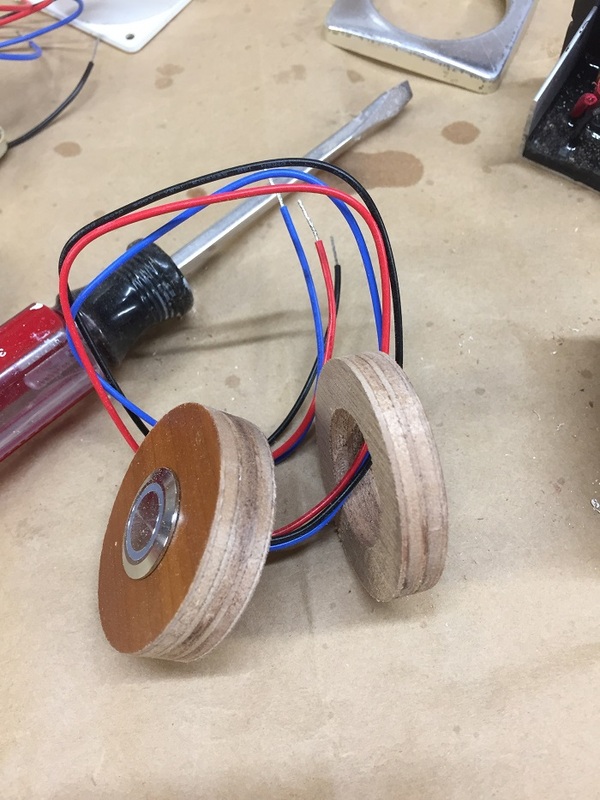 Motors on a head? Who knew? So, after a winter spent waiting for the weather to get warm enough to work on Pandora and time spent focusing on my “honey do list”, it’s time to get cracking and find a way to get Pandora back in the water and ready to cruise. I never imagined that I’d be back in the grind of spring commissioning, but now I am. And, when I get her up and running again in a few weeks, I’ll learn if I missed anything when I was winterizing her systems. So, if I can only get her ready by Memorial Day. Wow, a deja vu moment. At least I don’t have to go to work the following Tuesday. No wait, perhaps I’ll wait and not even use the boat as everywhere will be jammed that weekend. Ah, the luxury of being of a “certain age”. Now don’t go telling me that I am in my “twilight years” and that it’s “all down hill from here”. And speaking of “down hill” I guess that it is a race to the finish line. Yes, I guess it is and time’s a-wasting so I’d better get cracking. This year, the season won’t end in the fall, I hope but I’m still racing to get her in the water. Did someone say deja vos, again?